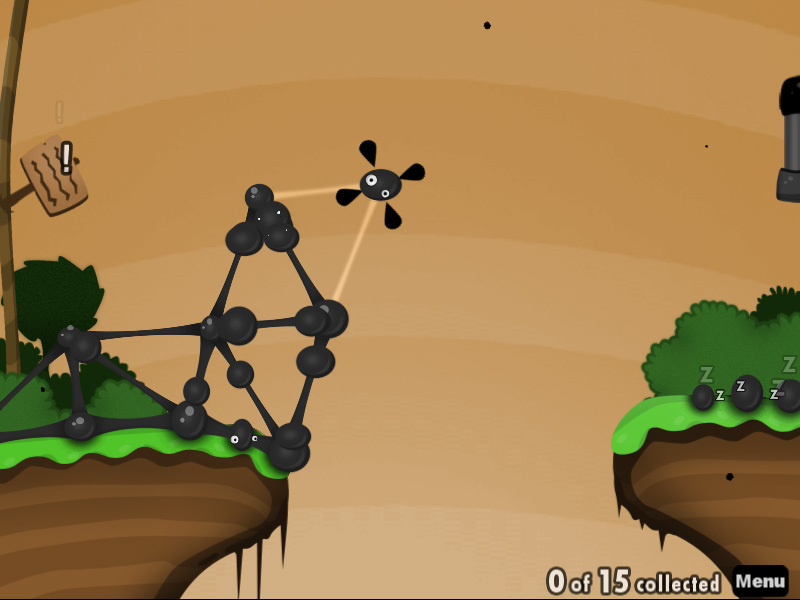 World of Goo is a puzzle computer game with a strong emphasis on physics. The game is built around the idea of creating large structures using balls of goo. The main objective of the game is to get a requisite number of goo balls to the pipe representing the exit. In order to do so, the player must use their various abilities to build bridges, towers and other structures to overcome gravity and various terrain difficulties such as chasms, hills, spikes or cliffs. The game is indeed very fun, and at the same time challenging, more so to my hubby, him being a civil engineer. You will be forced to think of a way to build the goo balls in such a way that you will reach the exit pipe, and still have maximum goo balls available. It is fun to watch how they fall once you make a mistake in building. If you would like to play a brain-twisting but fun game, you better try to play this game.